Gifting a property is a kind gesture, and it is better to be aware of tax implications for gifting a property. Donor or Donne can be a Resident Indian or an NRI or a PIO. Agricultural Land, Farmhouse and Plantation Property in India cannot be gifted to NRI. 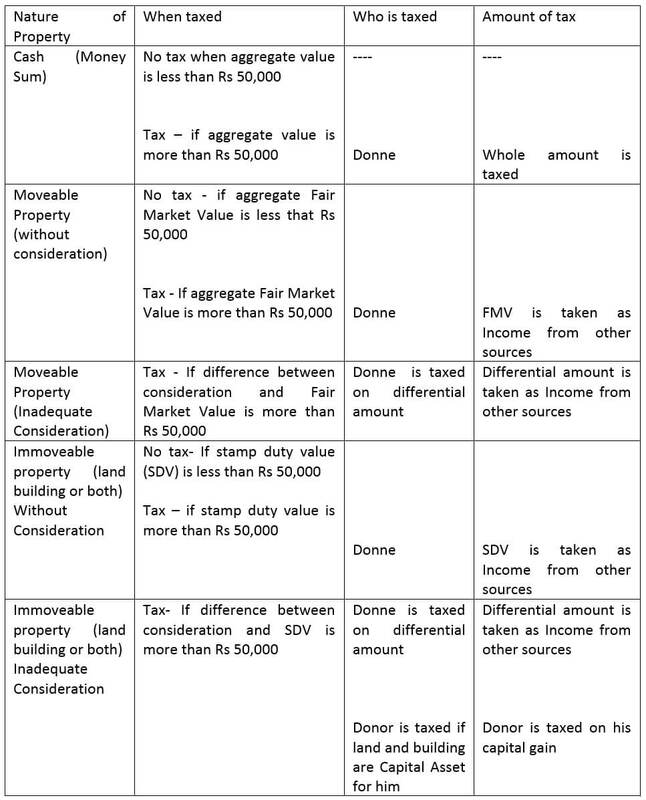 Both Donor and Donne are charged with the payment of tax as per Income Tax Act, 1961, under certain conditions mentioned as below. Tax is levied in the year in which the gift is received. Any rent received by the Donor on a gifted property is added to his income for tax purposes. Gift received from the relatives (list of relatives provided in the Income Tax Act) – No tax irrespective of the value of the gift. In the case of Hindu Undivided family, all members are relatives.